Ron Hipp and Carol Statella have crafted a musically delightful, emotionally involving work with Two Hearts. This is an exceptionally pretty CD, meant in the most positive sense. While Hipp’s expressive voice is very pleasing, Statella’s violin and viola give the album its deep soul. Carol also provides penny whistle and light percussion as well as harmony vocals. J. David Leonard contributes acoustic and electric bass, Dobro, and tasteful drums. Of the 13 songs on the CD, a trio are instrumentals. Hipp wrote or co-wrote all but one. However, that one, “The Sadness of Mary” by Jim Bozeman, is a showstopper, on the level of Michael Smith’s “Crazy Mary” or John Prine’s “Hello in There.” Here Hipp and Statella perform it with great poignancy. “No Way Not Today” is a wry commentary on taking a “mental health day.” “Two Hearts” achingly paints the portrait of misaligned love in a crumbling relationship. However, not all is sadness. The bouncy “Sally Sue” is rare, a very upbeat paean of unrequited love. Two Hearts reminds me how melodic and ear-pleasing a CD can be, it deserves a spot on your CD shelf. 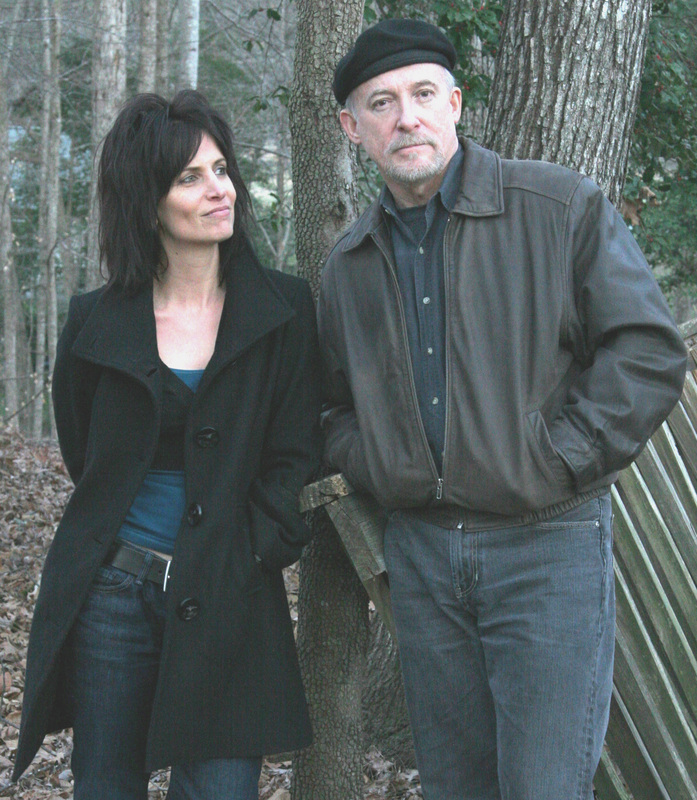 Atlanta, GA.—Ron Hipp emerges on the horizon of the American folk music scene with his debut album Two Hearts, due spring, 2010. The Atlanta-born and based singer/songwriter has joined with longtime musical partner Carol Statella (to form the duo ~Out of the Rain~) and producer/multi-instrumentalist J. David Leonard , along with bassist Felton Dunn to craft his first studio release. Both sparkling and full of dark-hued beauty, the album reflects years of devotion to communicating with depth and heart. 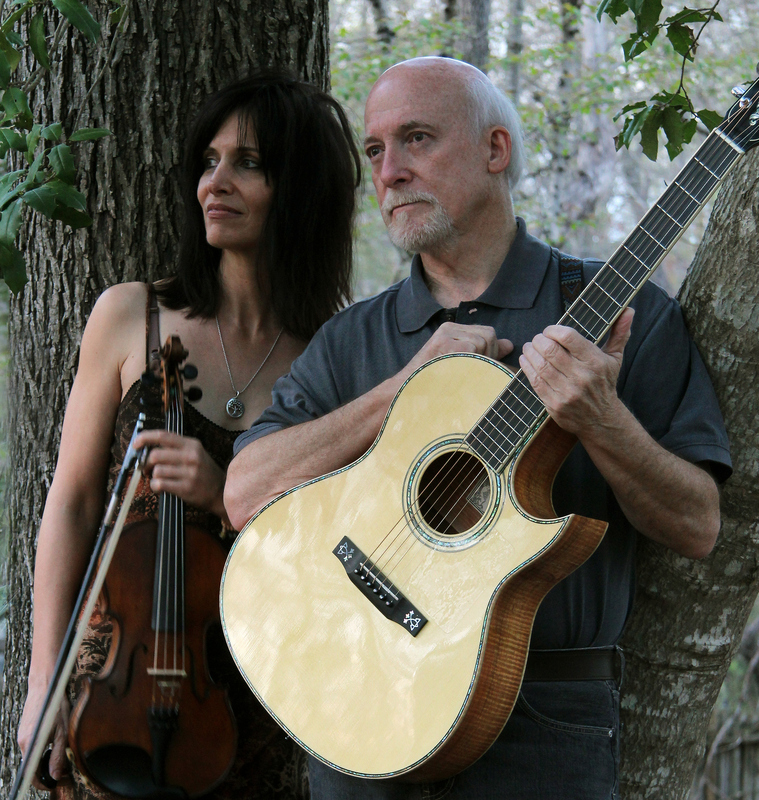 While honing his skills as a fingerstyle guitarist, vocalist, mandolinist, and banjo player in various folk and bluegrass groups, Hipp was also quietly amassing an extensive catalog of original songs and instrumentals. After a chance meeting with string player/vocalist Statella in the mid ‘90s, they struck up a friendship and played together whenever possible, gradually creating a unique sound and live alchemy that has attracted a passionate, loyal following. Two Hearts traverses a rich terrain of attachment, loss, and grace with penetrating insight. Hipp’s muse comes more from the realm of experience than observation, giving his songs a sometimes startling immediacy. “I just have to keep the window open, and they fly in, usually” Hipp says. “That is, if they have a familiar place to land.” By turns profound, rueful, and slyly humorous, the songs on Two Hearts embrace a wide range of emotion. Ballads of winged beings and mountain ranges happily coexist alongside tunes describing empty shoes and hearts morphing into rubber bands. All are bound by an acute sense of the passage of time. Anchored by Hipp’s warm baritone voice and intricate, cascading guitar lines, Two Hearts opens into expansive vistas and ends with an enigmatic farewell. “Where the Mountains Meet the Sea” is a cinematic treat, a mystical rendering of the view from the Vancouver coast and the memories held therein. With its captivating melody and pleasing subject matter (a dream of a nighttime visit), the co-written “Red Haired Gal” features deft interplay between Hipp’s banjo-style picking and Statella’s fiddle playing. “Two Hearts” movingly describes a sort of inverted love odyssey, the process of a union slowly unraveling. 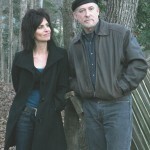 Written by Jim Bozeman and the only cover on the album, “The Sadness of Mary” compassionately depicts a woman’s age and isolation. “Fly Away Angel” is a gently powerful benediction, with Hipp and Statella’s combined expressive forces at their peak as the album concludes. Engaging and varied, the three instrumental pieces 0n Two Hearts provide an alternate world for the listening mind to travel, and demonstrate Hipp’s mastery of a variety of styles. From the pastoral quality of “Popsicles in the Snow” to the meditative “Only You” and the unabashedly ecstatic “Summer Sky,” these songs without words give the album breadth and breathing room. Two Hearts is a compelling and affecting debut for an artist and duo whose recording journey has just begun.